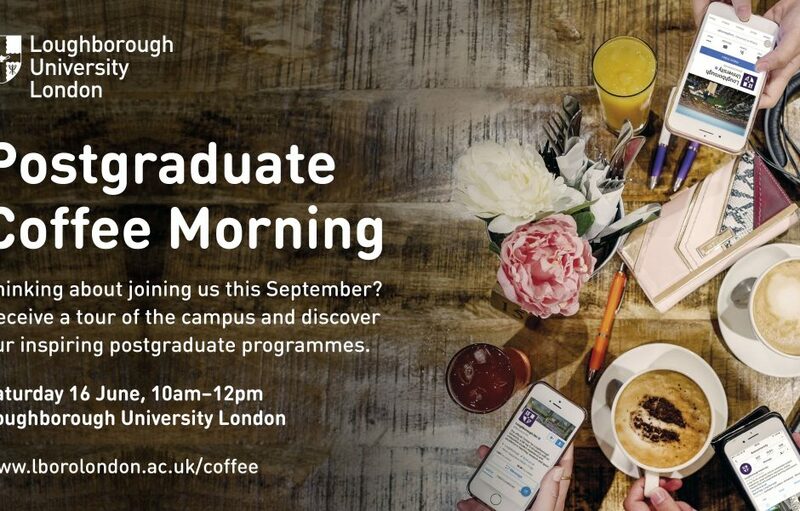 Come along to our coffee morning on 16th June to receive a tour of our stunning campus and hear from current students and staff about the postgraduate opportunities available at Loughborough University London. Join us on Saturday 16th June from 10:00am – 12:00pm to discover our range of postgraduate programmes inside London’s new innovation quarter on the Queen Elizabeth Olympic Park. Receive a tour of our inspring campus and find out more about our funding and scholarship opportunities.